When you play the “Game of Phones” with spammers and robocallers, you either win by being able to block them or you’ll be constantly bombarded by “Rachel from card member services”, potential fraudulent spam calls like those offering “an exclusive, limited-time offer for a free ten-day all-expenses paid trip to the Bahamas” or the soon to be just about everywhere, “I’m blankety-blank and I approve of this message”. There is simply no middle ground. To help stop the nuisance, Ooma just enhanced its personal blacklist feature, allowing our Premier service subscribers to block up to 1,000 phone numbers they simply don’t want to hear from, including entire area codes and toll free numbers. In the last couple of years, Ooma’s robust blacklisting capabilities have helped our customers block more than 36 million calls, saving consumers time and annoyance and helping the most vulnerable, such as the elderly, avoid scams and fraud. Additionally, Ooma estimates the 2016 Presidential Election will generate a record number of robocalls, especially in swing states, and consumers now can take matters into their own hands and block them for good. 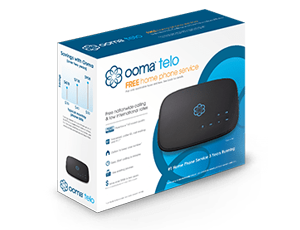 Personal Blacklist: A private, customizable list of up to 1,000 phone numbers Ooma Telo users wish to block. Users can add and remove numbers including entire area codes they’d like blocked or sent to voicemail. Community Blacklists: Contains tens of thousands of phone numbers identified by Ooma and its user community as sources of spam and telemarketing calls. Expanded Blacklist: Taps into Nomorobo’s third-party database of suspected telemarketers, robocallers and phone spammers. 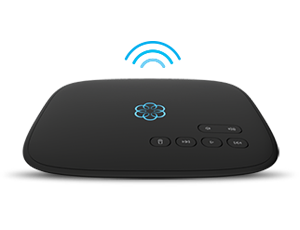 When enabling the Expanded Blacklist, Ooma Telo customers are protected from unwanted and unsolicited calls from more than 850,000 known sources of phone spam. List your number in the National Do Not Call Registry: Register for free to help prevent telemarketers from calling you at home, but keep in mind that it does not block political or charity calls, which is why you need Ooma’s blacklisting feature. *In addition to Blacklisting, Premier membership also provides a number of powerful features including an expanded free calling area, Instant Second Line, voicemail to email forwarding, ringing of your home and mobile phone simultaneously, free mobile calling using the Ooma mobile app, voicemail monitoring and more.